Parchment paper is a heat-resistant, non-stick paper that's used in cooking and baking. You can line baking sheets and cake pans with it to prevent sticking and reduce browning. You can make pouches out of it to cook meats and vegetables. You can roll dough out on it. And you can use it to cut down on the number of dishes that you have to wash. Line your pans with it, and they'll still be clean when they come out of the oven. Just toss the parchment paper in the trash when you're done, and put the pan away until next time. Foil: Line baking sheets and pans with aluminum foil. Then, grease the top of the foil to prevent sticking. Foods cooked on foil tend to cook a bit faster, so keep a close eye on the oven towards the end of the cook/bake time. If you're making cookies, expect the bottoms to be a bit crispier. Depending on the cookie, that could even be a good thing. Need to seal something in a pouch? You can use foil for that, too. In fact, foil pouches seal better, and unlike parchment, they can go on the grill or in the coals of a campfire. A Greased Pan: Coat your cookie sheet or pan with cooking spray, butter or oil. Then, lay your food directly on the pan. This will work for all but the most delicate or gooey of treats. A Silpat: Silicone baking pads, often referred to by the brand name, Silpat, are a great replacement for parchment paper. Just drop one onto your baking sheet, and whatever you put on it will come right off. There's no need to grease your pan, and there's very little clean up afterward. If you don't have any yet, they're definitely worth adding to your kitchen collection. They don't cost much and can be used hundreds of times before they need to be replaced. 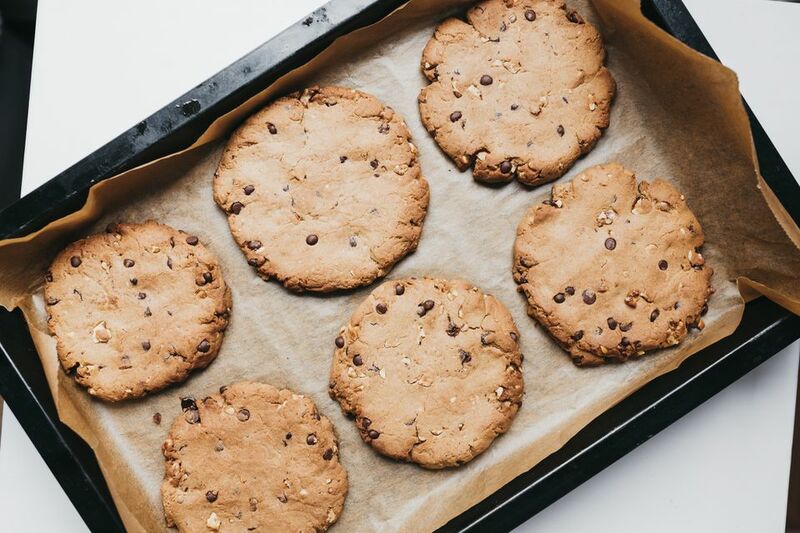 Like parchment paper, they help to keep your baking sheets clean, so you don't have to wash them after every use. You can even use Silpats as a non-stick surface when you roll out dough. If you're looking for alternatives to parchment paper because you can't bear to fork over $4 for a box of the stuff, try a dollar store. The rolls may be smaller, but they'll only cost you a buck. Parchment paper is reusable, so you can save even more by reusing it until it becomes dark, brittle or messy.